Help nails overcome stubborn problems and encourage firm, flexible nails with Nailtiques Nail Protein Formula 2 Plus, a treatment for excessive problem nails. This strong formula should be used only if desired results haven’t been achieved with Formula 2. 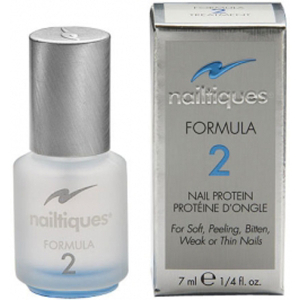 Nailtiques Nail Protein Formula 2 Plus has been created to treat many different nail conditions. Combining hydrolysed keratin and protein with gelatin and calcium to build a healthy nail foundation, Formula 2 Plus also uses protein formulas to bond the nail layers together building a strong nail foundation resistant to peeling, chipping and splitting. Please note: Formula 2 Plus is slightly stronger than Formula 2. This formula is an option for those who have used Formula 2 for at least 6 weeks without colour polish and desired results have not been achieved. 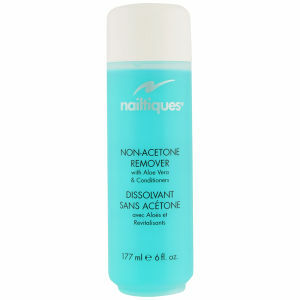 As nails respond, decrease application. Once nails have improved, return to Formula 2 until nails are healthy. Formula 2 Plus may be worn alone or with colour polish. The best I've found ! This product is definitely the best I've found for nail problems and I've tried most of them. It's not too expensive and well worth the cost. 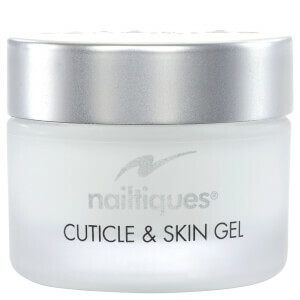 Nailtique is the best treatment for nails which break easily etc. Cannot rate it highly enough. I have lovely nails for the first time in over 40 years. I normally use Formula 2 in my standard nail treatment routine but after having several gel nail treatments over the summer, I thought it about time to give my nails a break & give them some TLC. Formula 2 Plus has worked amazingly. Within a week my nails are back to normal, healthy & strong. I'd recommend 2 Plus post gel/shellac/acrylic treatment & just 2 for day to day. I team up 2 & 2 Plus with Burts Bees cuticle cream <-- you're into a winner with this combo! I was recommended this product by a friend who has been using it for some time. I am totally impressed with the product - I started to see an improvement in my nails almost immediately. I have already bought a second supply; it's simply marvellous! For the last three years, my once beautiful nails have started to ridge and peel. I have tried everything to get them back in top condition, but to no avail! That is, until I found this wonderful product. Even after the first week I could see a difference, and now after seven weeks, my nails look great with no peeling. It isn't cheap, but well worth the money and I would recommend it to anyone. This is the first nail product that I have found that actually does what it say it will! The results are amazing. I have struggled for two years with my nails having had acrylics for ten years. I started with Formula 2 and after three weeks moved on to Formula 2 plus. After 10 weeks I now have long strong nails. This is a must buy product for poor nails. Can't believe the difference this has made to my poor peeling, splitting nails within a few days. Having tried almost everything on the market, I was sceptical when I read the reviews but thought I'd give it a go anyway. Previously, every day, my nails would peel away and split, leaving them looking horrid and dirty. After one week of use, I noticed that they were not peeling and now, after two weeks, they are growing rapidly and starting to look great. Forget Nails Inc,, Jessica, Mavsla, Leighton Denny,, Sally Hansen etc.,even a brand from America which name I have forgotten, this seems to be the answer for very poor nails. Thank you Nailtiques, you have produced a miracle! Nailtiques Formula 2 Delighted with product and very prompt despatch.